Those who follow me in Facebook or Twitter would know that I just purchased a new Intel i5 Core processor PC installed with Windows 7 Professional 64-bit OS. Why upgrade to Windows 7? Well, I completely skipped Vista, but Vista did have some visual improvements. And when reviewers started giving Windows 7 the thumbs-up, I decided that it’s time to go for this new OS. Vista does have some great features, and Windows 7 has made them work better. Why 64-bit? Because that’s the future and it’s the only way that software can utilise more than 4GB of RAM. Why buy at launch and there are bound to be bugs? Because you’re going to get free software updates anyway, so why not enjoy the entire software lifespan rather than buy it at it’s end-of-life, like what happened to the Netbooks running on Windows XP. The Aero theme certainly beautifies the interface, and some apps after make use of the Aero theme to deliver practical benefits. For instance, when doing file transfers using Windows Explorer, the window on the task bar shows the percentage completion with colour bar indicator. I like the ease of able to pin applications on the start menu or the task bar. I like how the same app windows are placed side by side on the task bar (I disabled the grouping: I prefer to see every window represented individually on the task bar. I like how the context menu of the apps at the task bar shows app-related selections – for instance, right-click on the Live Messenger and you have options to change the online status. While the Aero makes Windows 7 pretty, I prefer to stick to the classic (boring) theme. I can’t stand how much space the Aero’s window borders take and how it bloats up the application’s frames. Thick borders are probably useful for touch-screen usage, for which Windows 7 readily supports. 1. Faster transfer speeds. It’s probably more on the new Intel i5 Core processor and the new Gigabyte GA-P55A-uD4P mainboard architecture implementation. 2. Major speed improvements on some apps. Lightroom 64-bit is so much faster. Exporting 500 images took less than 15 minutes, when previously it could easily take more than an hour. 3. Overall overhaul on the OS. Bugs aside, the Win7 certainly has improvements on usability against WinXP. System stability is subjective from user to user. Afterall, stability depends a lot about the third party software and hardware. In that respect, branded computers will definitely run most stabily because the software and hardware drivers are optimised during product development. I did have a few BSOD (blue screen crashes) during boot up, but after I removed a few legacy USB peripherals, it no longer has any BSOD. But a strange thing that happened is that Windows 7 has problems establishing network connectivity with my router on first startup. I can easily resolve this by rebooting the OS and afterwhich things are fine. Not sure if it’s an OS problem or the router problem. Some apps do have stability problems on 64-bit OS, like Firefox, that crashes many times on me. Good thing is that Win7 recovers crashes better. I must say that I am very happy with Win7 so far and I recommend the upgrade if you run memory-hungry applications, like multimedia production. 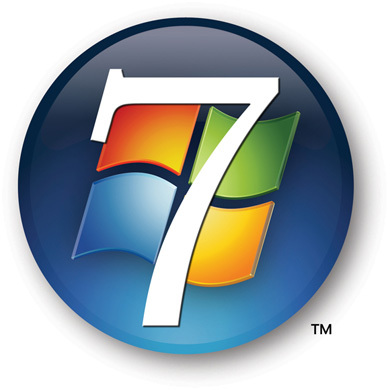 I think that Windows 7 will be worth every penny! Anyone who decides to stay with XP or Vista is totally insane, with the one exception of people using hardware more than 10 (Yes, TEN!) years old. Anything newer will run Windows 7 faster, and better, than XP. i came across your blog and read your windows7 review. I just recently installed too and i also faced the blue screen crash many times!! dont mind but may i ask what are 'legacy USB peripherals' ?? because for me, it started rebooting itself when i started using microsoft 2007(which was previously alr installed on my laptop).. aft i uninstall microsoft office, it was okay but started rebooting again when i use my webcam (dell webcam) so i uninstall that too.. so far i have not face any rebooting issues after uninstalling both progs.. but i would like to understand why.. if you wld care to help me out!